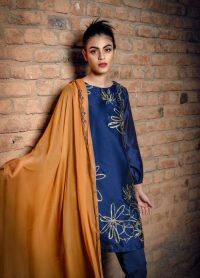 This one has got to be our favorite piece from the “Luxury Pret” collection by Exclusive. The bright pink colour with contrasting black details exudes freshness!! 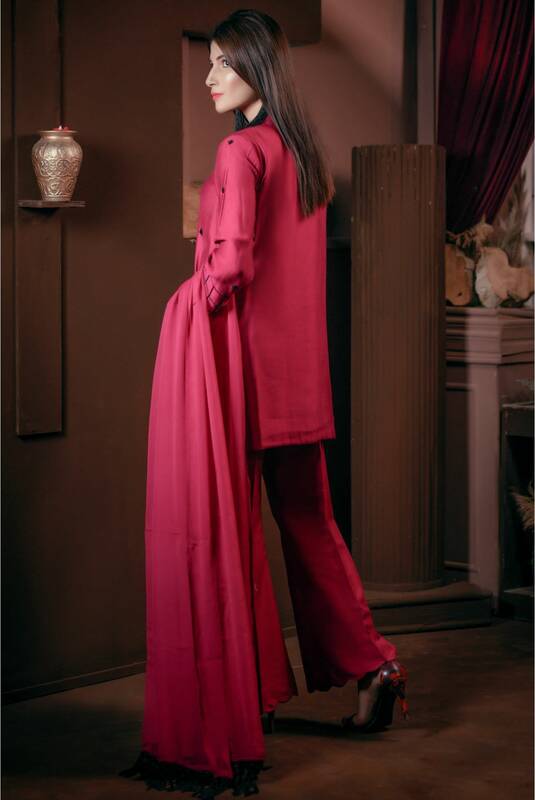 Featuring a striking pink khaadi net fabric infused with beautiful and Intricately detailed hand embroidery, an organza lined neckline; this outfit displays craft that truly captures the essence of “Exclusive’s” couture. 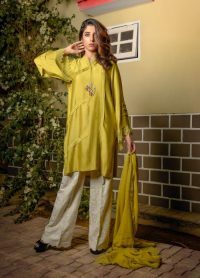 The ensemble is stunningly coordinated with premium quality Indian raw silk bell bottoms and a chiffon georgette dupatta. 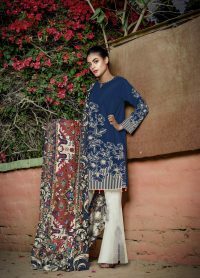 The long sleeves with a sprinkle of gorgeous embellishments and a hand embroidered border glorifies the intricate regal design. 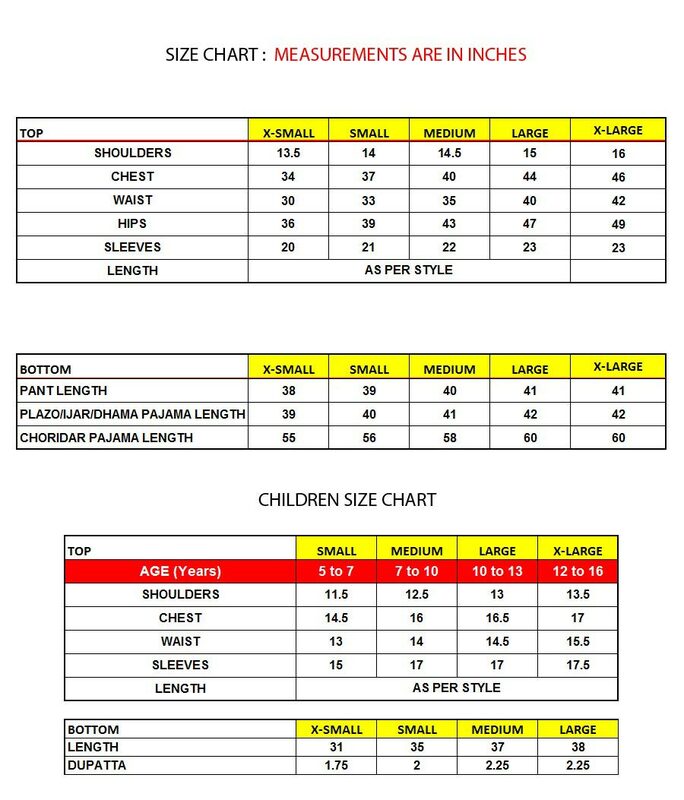 You can adjust the sleeve length if you wish. This three-piece number is a major head turner at all events so ORDER YOURS NOW!